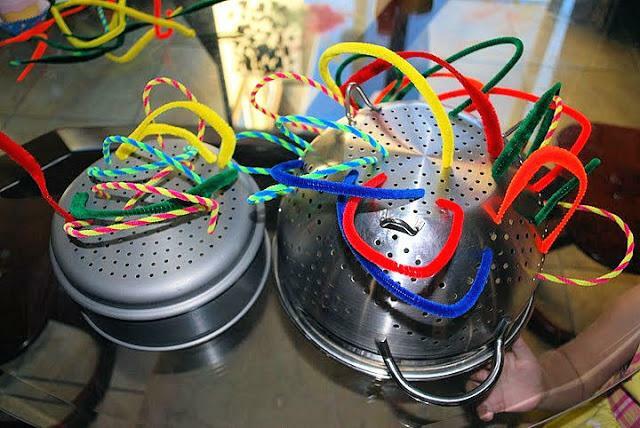 Here is a quick idea for fine motor skills that uses something most everyone has - a colander! You will also need some pipe cleaners, which in my opinion are also something everyone should have. This fine motor skills activity takes no time to set up. It is also great for when you need to keep your child busy for a little bit so you can make dinner. 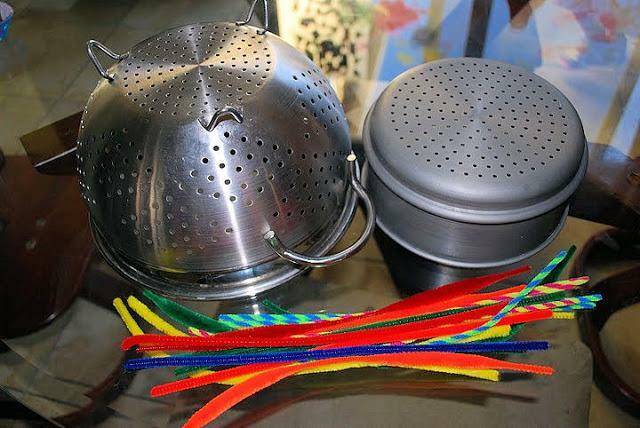 Just don't have them do this if you are cooking something that requires a colander.